Ecologically-aware organiser and author Tanya Lewis challenges us to rethink consumption, turn chaos into opportunities and free ourselves from the vicious clutter cycle to regain control over our time and space. Clutter robs us of time, space and energy, so why not turn our clutter into opportunities. 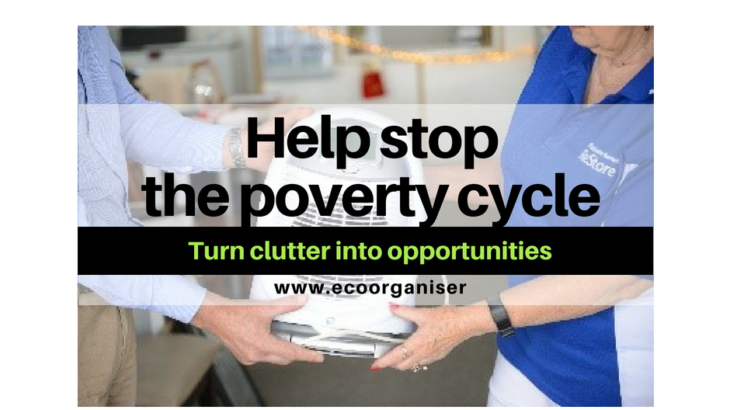 The association between Eco Organiser® and ReStore Habitat for Humanity goes back some eight years, promoting them as a place to donate quality items and shop, to the 6000+ that have attended or by donating a $1 from the sale of our book STUFF OFF. After such a long association it was time to catch up with the Russell Croxford, ReStore Manager of Habitat for Humanity Victoria.